4-PIECE MAJESTICWARE "PERSIA" 6 1/2" SAUCERS/GRN-CORAL-LAV/STONEWARE/CLEARANCE! 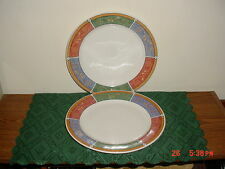 2-PIECE MAJESTICWARE/ONEIDA "SEVILLE" 10 1/2" DINNER PLATES/1-FREE/FREE SHIP! 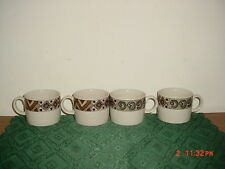 4-PIECE MAJESTICWARE-SAKURA "CRETE" COFFEE CUPS/1996/BEIGE-BRN-TAN/FREE SHIP! 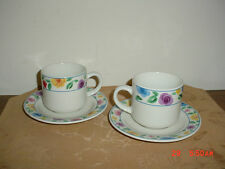 10-PC MAJESTICWARE "ROSE GARDEN" CUPS & SAUCERS/1994/BRIGHT COLORS/FREE SHIP! 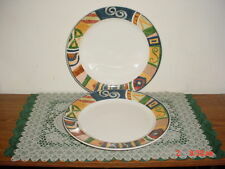 2-PIECE MAJESTICWARE "PERSIA" 10 3/4" DINNER PLATES/GREEN-CORAL-BLUE/FREE SHIP! 8-PC MAJESTICWARE "PERSIA" COFFEE CUPS & SAUCERS/GRN-LAV-CORAL-WHITE/FREE SHIP! 4-PC MAJESTICWARE-SAKURA "PERSIA" 7 1/2" SALAD PLATES/GRN-LAV-CORAL/FREE SHIP! 3-PC MAJESTICWARE-SAKURA "PERSIA" 7 3/4" SALAD PLATES/GRN-LAV-CORAL/FREE SHIP! 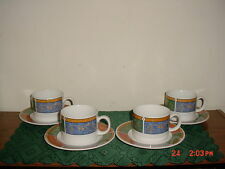 4-PC MAJESTICWARE "PERSIA" COFFEE CUPS & SAUCERS/GRN-LAV-CORAL-WHT/FREE SHIP! 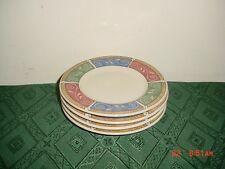 5-PIECE MAJESTICWARE "ROSE GARDEN" 7 3/4" SALAD PLATES/1994/BRIGHT/FREE SHIP!